FIFA World Cup championship official songs and the official Anthems songs are adopted officially to warm up the event, souvenir reminder of the events as well as for advertising campaigns leading for the world cup. Also the singers get the universal world coverage and notoriety. Below are the Official Songs(Ole Ola by Pitbull feat. Jennifer Lopez & Claudia Leitte), Official Anthem(Dar um Jeito (We Will Find a Way) by Santana & Wyclef feat. Avicii & Alexandre Pires) and Official Mascot Song (Tatu Bom de Bola by Arlindo Cruz). Click on the links to get more details about the songs. Official Song - We Are One (Ole Ola) by Pitbull featuring Jennifer Lopez& Claudia Leitte. 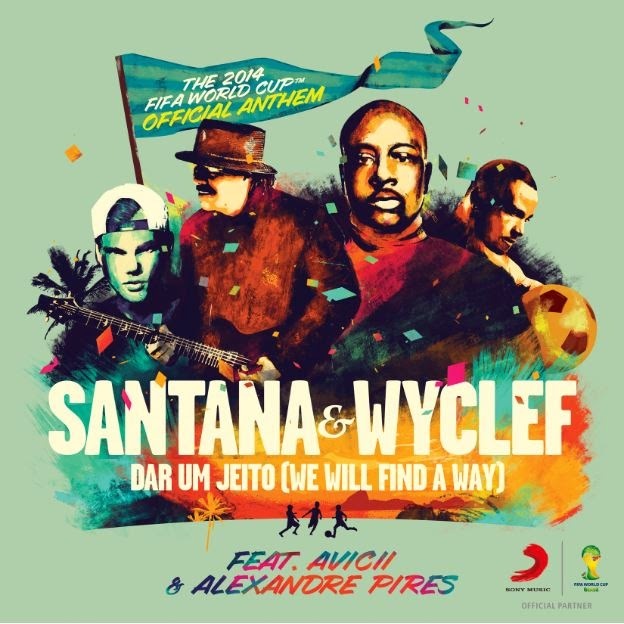 Official Anthem - Dar um Jeito (We Will Find A Way) by Carlos Santana featuringWyclef & Avicii & Alexandre Pires. 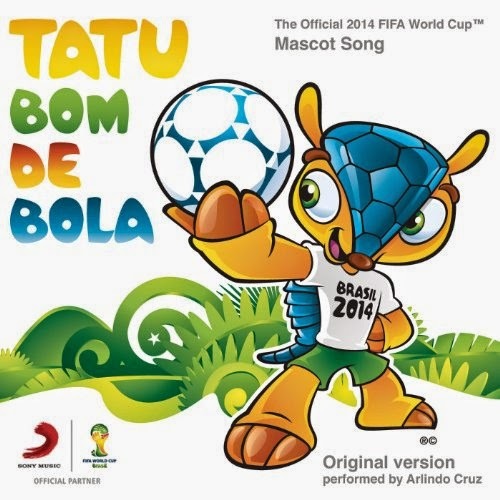 Official Mascot Song - Tatu Bom de Bola by Arlindo Cruz.